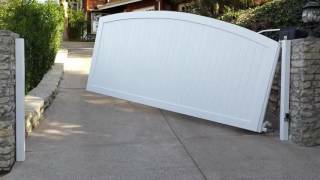 We only use the finest quality materials in creating our gates. 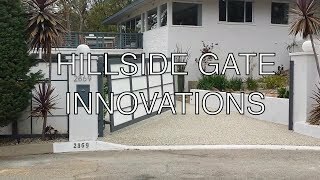 Perfect Hillside Gate | Los Angeles | Mulholland Security 1.800.562.5770 At Mulholland Security, we specialize in Hillside gates. We have been building them since 1994. Here you see one of our recent solutions in action. Hillside Gate Remains Level as it Opens and Closes http://gateslosangeles.com 1-800-562-5770 Gates Los Angeles is a division of Mulholland Security Centers, Inc. We have been in the security business for over 20 years and have fabricated and installed security gates for hundreds of Southland families and businesses. We now have offices in North Hollywood and in Malibu. Hillside Fence & Gate | Hillside Fence & Gate - Building Practices http://GatesLosAngeles.com Avi Ben David explains that gates and fencing for a property on a hillside slope can be constructed in such as way as to be level and provide maximum security for a home as it also enhances beauty.